Not got a ticket to Tomorrowland but love electronic music and want to dance the night away to your favourite DJ’s at an exciting festival? 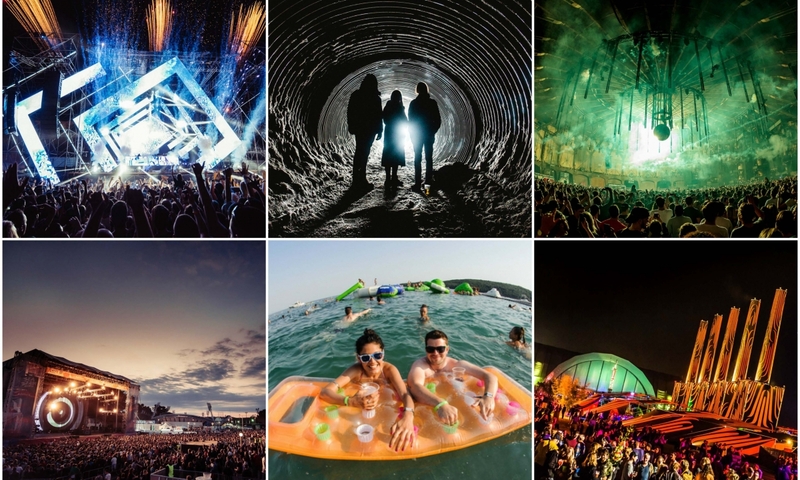 Here’s some alternatives where you can party poolside, frolic in a fortress, get down in a glacier, shimmy by the sea or combine your festival with a city break in Amsterdam! There’s something for every festival adventurer, are you ready? Here’s 5 unforgettable festivals not to miss in 2018. A yearly conference bringing in the worlds biggest electronic music talents, Amsterdam Dance Event (ADE) combines spectacular performances with stunning Dutch scenery. Featuring a wide variety of individual events from intimate label showcases to unbelievable arena extravaganzas, there truly is something for everybody. Last year’s ADE saw the likes of Martin Garrix, Armin van Buuren, Hardwell, Marshmello, David Guetta, Afrojack, Steve Aoki and Dimitri Vegas & Like Mike all deliver world class performances, so it comes as no surprise that the annual event brings in visitors from every corner of the globe. You can even get the Eurostar there with a new route from London launching in 2018. ADE takes place from 17-21 October 2018. More info available at amsterdam-dance-event.nl. Set in Serbia’s breathtaking Petrovaradin Fortress near Belgrade, this extraordinary showcase of talent takes place annually in July. With an incredible track record, the festival has already hosted a number of iconic electronic names, including Hardwell, Alan Walker, Duke Dumont, David Guetta and Fatboy Slim, alongside a number of huge artists spanning several music genres. This year the festival boasts a diverse lineup, with the perfect balance of names from both the mainstream and the underground. With David Guetta, Adam Beyer B2B Ida Engberg, Solomun and Jax Jones already announced with plenty more to follow, this year’s edition should definitely not be missed. Dutch extravaganza Lowlands Festival attracts attendees from around the world year after year, with an outstanding reputation and a consistently, quality production and impressive lineup that only becomes more world class with each passing year. Hosting artists from a wide range of genres, the festival truly has something for everyone, and attendees never fail to be left in awe. This year’s lineup already features a number of huge electronic artists, including Gorillaz, Richie Hawtin, Bicep, Nils Frahm, Daniel Avery and San Holo all set to provide spectacular performances. Held in vibrant Croatian town Umag, Sea Star Festival boasts stunning beachside views where you can party poolside, alongside unbelievable live performances from a number of iconic artists. 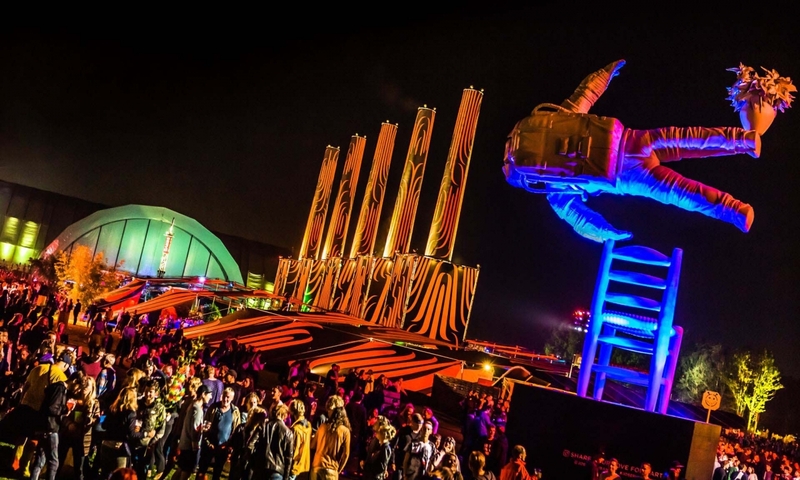 Last year the festival held its first edition, and proved to be a huge hit with attendees who were treated to performances from Paul Kalkbrenner, Fatboy Slim, Pendulum and The Prodigy, to name just a few. After such a huge opening expectations were high ahead of the lineup reveal this year, but these have certainly been exceeded, with Dimitri Vegas & Like Mike, Robin Schulz, Disciples, and Paul van Dyk all due to take to the stage. 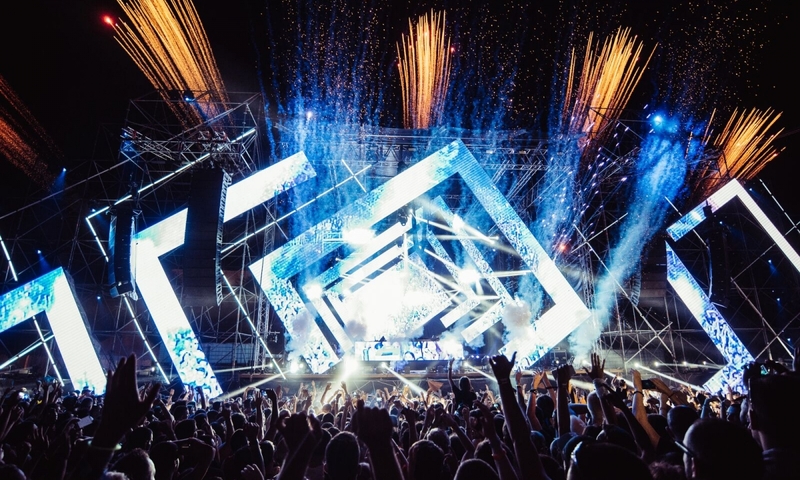 Set just outside Iceland’s breath taking capital Reykjavik, Secret Solstice Festival combines stunning scenery with awe-inspiring performances, with many of the most in-demand artists in the world set to be in attendance. A number of electronic music’s finest artists are also due to perform, including Clean Bandit, Steve Aoki, Charlotte de Witte Skream and A-Trak all on this year’s roster. Iceland is also known for it’s breath-taking scenery and the festival take full advantage of that offering special parties in a Glacier and Lava tunnel for a truly once in a lifetime party experience. Lowlands add Richie Hawtin Close, Âme II Âme, Ben UFO, Bicep, Charlotte De Witte, Fatima Yamaha, George FitzGerald, Kiasmos and more! The 26th edition of ‘A Campingflight to Lowlands Paradise’ turns up the heat adding some of the biggest names in electronic music to their already impressive line up featuring the likes of Gorillaz, Kendrick Lamar, N.E.R.D, The War On Drugs, Dua Lipa, James Bay, Rag’N’Bone Man, Stormzy and Tom Odell. New additions include; Richie Hawtin Close, Âme II Âme, Ben UFO, Bicep (live), Charlotte De Witte, Daniel Avery, David August, Fatima Yamaha, Floating Points (solo live), George FitzGerald (live), Jarreau Vandal, Kiasmos, Louis The Child, Max Cooper, Metro Area (hybrid dj set), Motor City Drum Ensemble, Mr Carmack (dj set), Peggy Gou, Red Axes, San Holo, Surgeon, Tom Trago (presents Bergen live), Yaeji, Avalon Emerson, Born in Flamez, David Vunk, Dinamarca, Dr. Rubinstein, Job Sifre, Lorenzo Senni, Lyzza Metrik, Oceanic, Torus Volvox. Lowlands also prides itself in supplying top notch facilities for it’s visitors, There’s a wellness village with saunas, hot tubs and sports facilities, dozens of restaurants from all corners of the earth, food and drink stalls, a large market with everything from clothes and vinyl stores to a barber’s shop, its own currency, a local radio station, a daily newspaper (Dutch only) and, last but not least: seven luxury campsites with flushable toilets and hot showers. A Campingflight To Lowlands Paradise really is the ultimate summer holiday extravaganza! Where will your festival adventure take you in 2018? From dancing poolside or on a beach, partying in a fortress or experiencing the surreal midnight sun, wallet friendly European hotspots and amazing city festivals to combine with long weekends of culture, gastronomic delights and sightseeing, there’s something for everyone. Get ready for a festival holiday of a lifetime in 2018! Line Up: Migos, David Guetta, Fever Ray, LP, Ziggy Marley, Adam Beyer b2b Ida Engberg, Alice Merton, Maceo Plex, Nina Kraviz, Richie Hawtin, Solomun, Tale of Us, Amelie Lens, Asphyx, Ben Klock, Bombers, Brujeria, Burak Yeter, Dog Eat Dog, Grave Digger, Idles, Jax Jones, Lions’s Law, Madball, Mahmut Orhan, Ofenbach, Sevdaliza, Slapshot, Slaves and more. Line Up: Grizzly Bear, Ariel Pink, Jon Hopkins Live, AURORA, …And You Will Know Us By The Trail, Of Dead play “Source Tags & Codes”, The Brian Jonestown Massacre, John Maus, Clap Your Hands Say Yeah play “Some Loud Thunder”, Marlon Williams, Turbonegro, Wednesday Campanella, Big Freedia, Egyptian Lover, OXBOW, Bishop Nehru, Jacques Greene, Moses, The Como Mamas, Housewives , Yellow Days, Yasuaki Shimizu, Hańba!, Nanook of the North, Furia, Coals, Legendarny Afrojax, Sorja Morja, Bass Astral x Igo and more. Lowlands Phase 2 Line Up – N.E.R.D, James Bay, Nils Frahm, Patti Smith and more! Lowlands drop more massive names in their Phase 2 line up announcement; N.E.R.D, James Bay, De Jeugd van Tegenwoordig, Nils Frahm, Patti Smith, Tom Odell, Gogol Bordello, Jacob Banks, King Gizzard & The Lizard Wizard, Nick Murphy, The Wombats, The Blaze, Maribou State, Protoje & The Indiggnation, Sevdaliza, Sofi Tukker, Warhaus, Amber Run, Cartiez, Jacin Trill, Leafs, LUWTEN, Marlon Williams, Rolling Blackouts Coastal Fever.